And THIS you call 'genius'? I have already submitted my formal review for The Empty Hearse, Sherlock's Season/Series Three opening episode. In short, I HATED almost everything about both The Empty Hearse and probably Sherlock. Many Sherlockians (fans of Sherlock the television show), who are not necessarily Holmesians (fans of Sherlock Holmes the character or Canon), have insisted to me that Sherlock is not just the Greatest Sherlock Holmes adaptation in the history of all television/stage/cinema, but perhaps the apex of human existence, on par with the creation of fire and another Watson (Watson & Crick of double helix fame). It isn't my place to take away a person's pleasure (unless it's something like excessive amounts of alcohol or any amount of heroin). However, I stop at this juncture because I genuinely worry that Sherlockians have gone from mere fans of a show and slipped into insanity. I don't mean the metaphorical version of insanity. No, I mean the quite literal version of insanity. In short, I think Sherlockians are flat-out bonkers and a danger to themselves and others. I say this because The Empty Hearse, rather than being this brilliant piece of writing by Mark Gatiss (whom I'm sure fancies himself some sort of genius given his generally uppity manner), is really flat-out rubbish. Perhaps some of the more devoted Sherlockians can answer my queries, and perhaps I may be persuaded to see the genius in Sherlock that has so far eluded me (a man of average intelligence). However, I doubt I will change me mind. When last we saw Philip Anderson, he was one of the two members of DI Lestrade's Scotland Yard team who are absolutely convinced that Sherlock Holmes, whom they have endured like one endures waterboarding, was guilty of major crimes and then 'solving' them (what I called a criminal version of Munchausen by proxy). 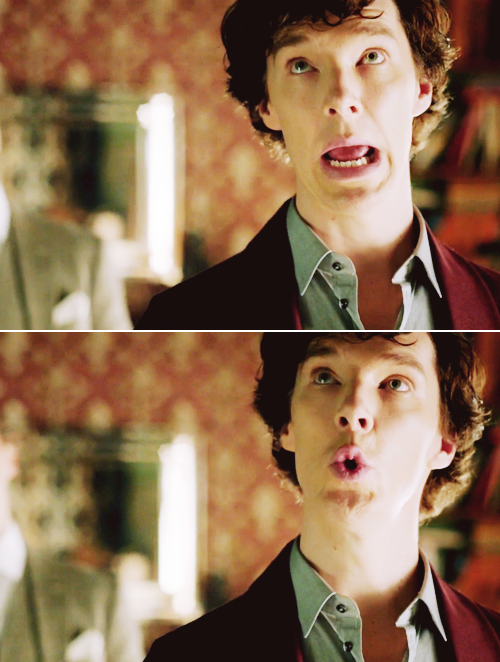 Now, in The Empty Hearse, Anderson has apparently gone insane in the intervening years. Having grown obsessed with how Sherlock could have faked his death in The Reichenbach Fall, he has not only come up with elaborate theories, but even formed a like-minded group of believers (it is all sounding very cult-like, isn't it): The Empty Hearse Club. Moreover, he has even created a motto for both the group and himself. Certainly doesn't have that ring to it that "I Believe That We Will Win" has, does it? 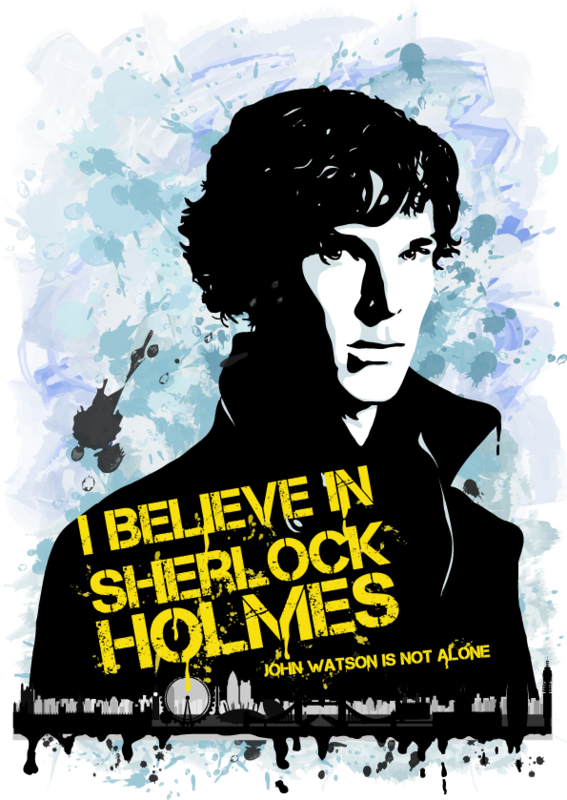 My question is WHY does Anderson 'believe in Sherlock Holmes'? Anderson has spent many cases enduring Sherlock's brazen arrogance and even cruelty. They've never been close (not that either of them in Seasons One or Two would want to be). Sherlock deduced correctly (like he always does, God-like) that Anderson and Donovan were schtupping despite Anderson's marriage. Anderson so disliked, even detested Holmes, that he was willing to believe the worse of Holmes (that he was some sort of evil genius who kidnapped little girls then came to said girl's rescue). What then occurred in Anderson's life that so transformed him from Holmes Denier to Holmes Worshipper? 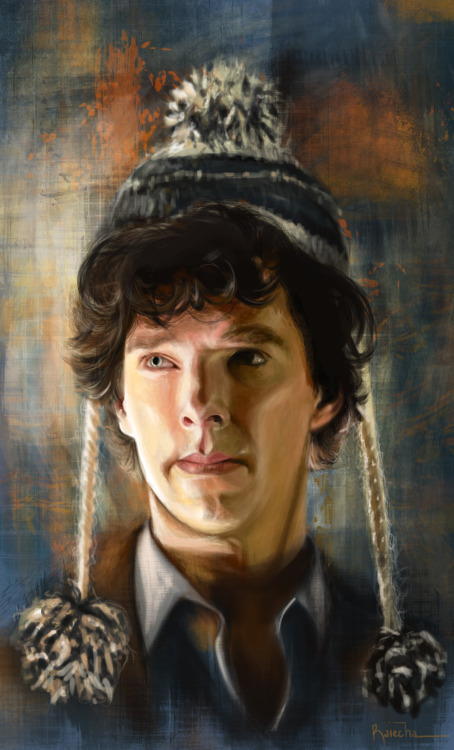 The Anderson in The Reichenbach Fall bears no resemblance to the Anderson in The Empty Hearse (and not just physically). As far as I know, no real explanation was given for Anderson's change of heart, or how he had apparently been driven mad by Holmes' death and resurrection. 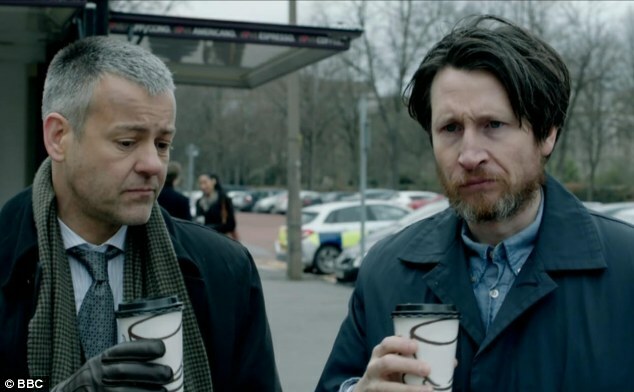 As a side note, when Inspector Lestrade raises a cup of coffee with Anderson in honor of 'old friends', I thought, 'Are either serious?' NEITHER of them had ever, as far as I know, liked Holmes as a person, and Anderson at one point thought he was a fraud. Lestrade might have respected Sherlock (though given how quickly he gave in to Anderson and Donovan's accusations it seems more likely that he was either weak or as willing to believe the worse of Holmes as they were). To have them in this 'mourning' phase seems so disingenuous, so false. Still, Anderson's slip into near-insanity is something I both never believed or felt was explained. Then again, I don't think much in Sherlock is ever explained, or explainable (and don't start with this 'it's all too complicated for you' nonsense. I followed the plot of Tinker Tailor Soldier Spy quite well, thank you very much, and if you want to see 'intricate' plotting, go watch a movie that has both Sherlock AND the so-called War Doctor in the same film. Far be it for me to try to read into the minds of Sherlock producers/writers Mark Gatiss and Steven Moffat, but in The Empty Hearse I did not see what Sherlockians saw. With The Empty Hearse Club, Sherlockians saw a nice spoof of the hard-core Sherlock fanbase. They might even have seen themselves and giggled. I saw a mean-spirited, even vicious portrayal of those people who are making Gatiss and Moffat rich and famous. They had their fan-fiction, coming up with elaborate theories and even downright 'shipping' to explain what should really be unexplainable. I see this with the upcoming Sherlock season. In The Reichenbach Fall, Andrew Scott's Moriarty blows his brains out. In His Final Vow, apparently Moriarty is alive and well, taunting all Britain with "Did you miss me?". There are two ways of looking at this. I look at this at flat-out cheating and nonsense. Moriarty had shot himself in the head. His corpse was 'commandeered' as Sherlock's in one of the scenarios. Now, Jim Moriarty looks like he survived shooting himself in the head and looking none the worse for wear. As a result, I would have said at this 'twist', 'that's not possible'. Add to that I would say Steven Moffat clearly is throwing nonsense at us, and as a result, he cheats death in more ways than one. However, I find that many people are going in the opposite direction. Rather than object to the illogic of a possible comeback...no, return for Jim Moriarty, they instead are coming up with wild and elaborate and intricate scenarios to justify all this, picking on minutiae to spin wild yarns. Truth be told, I don't believe Moffat or Sherlock co-producer Mark Gatiss have or have ever had this very methodical, long-thought out scenarios for vast seasons. Rather, I think they work season by season and then work backward, coming up with reasons to explain what can't or wouldn't be explained in another world. As such, in Season Three they thought, "wouldn't it make for a shocking twist for Moriarty to come back?" "Well, yes, it would, but how? He shot himself in the head and we've operated that he's dead?" "Well, we'll give that big shock at the end, then come up with some scenario to rationalize it later". You get your shock, you get the publicity, you get the praise, you get the Emmys, and then you come up with some wild, perhaps even irrational explanation to make all this 'plausible'. The Sherlockians, for their part, accept everything thrown at them without question. Their reaction to "Moriarty's ALIVE" isn't to say "That doesn't make any sense". It's to say, "Let's think of a way to make this possible". That is why they read so much into things. Perhaps in this case, the Empty Hearse Club isn't too far from the truth: this collection of sad, lonely, generally witless figures who dress up like their favorite characters and spin outrageous scenarios to make the illogical logical. However, my question about all this is 'Why do they all get together?" What joins them together in their admiration for Sherlock? Do they have social lives outside Holmes? It's a bit sad to see a show so gleefully ridicule its fanbase. It's interesting that in something like The Empty Hearse, we never get a 'definitive' answer. We are given three scenarios of various degrees of plausibility, with even Sherlock's answer being questioned by Anderson. Sherlock, for his part, leaves unheard and unseen before he can answer Anderson's questions of logic. I think what Martin Freeman's John Watson said it best in a line that has stuck with me. "I don't care HOW you did it, Sherlock. I want to know WHY". 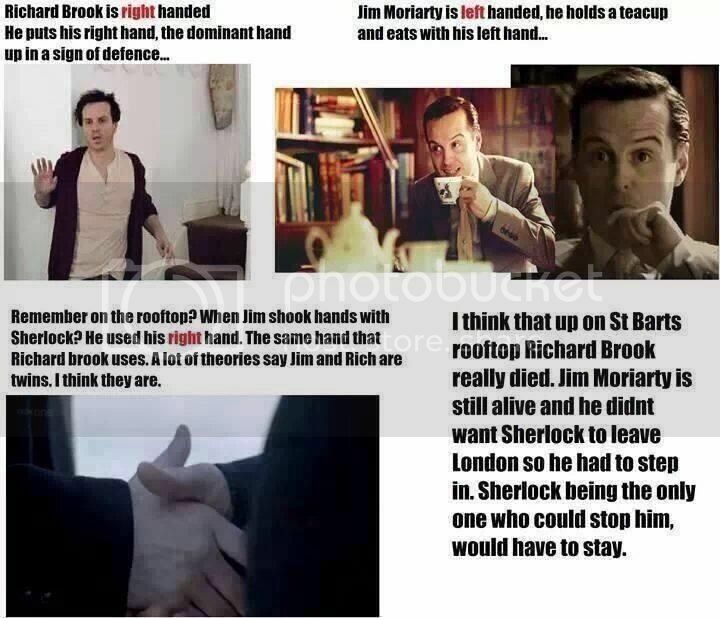 THIS I think is what Moffat, Gatiss, and Sherlock want us to focus on. As far as they are concerned, we need not really care how it was all done. We should focus on the emotions, not the logic. For a show that holds itself in high regard for being highly intelligent and with its hero relying solely on logic and facts, Sherlock is not about intellect but about emotion. Anderson's questions are fair, and Sherlock leaving is both Gatiss and Moffat's "F-U" to all the fans who actually cared about how someone escaped death, but also their admission that there really was no resolution possible. Going on what we were given, Sherlock Holmes jumped to his death in The Reichenbach Fall. He could not have survived. Similarly, should Jim Moriarty really be alive in the Season Four Sherlock opener, it is impossible given what we were given. Rather than answer or even admit that they write nonsense, their response is to ask us to focus on the emotions, not the logic. Even if Moriarty turns out to be his brother (which seems unfair to never suggest there were more than one Moriarty), I don't think there will ever be a real, logical answer to how Moriarty could be alive. In the same vein, having Sherlock never answer how it was done shows that far from being brilliant, The Empty Hearse and Sherlock in general is a mockery of intellectualism, that Sherlockians won't think, and that this show is one that is less than the sum of its parts.